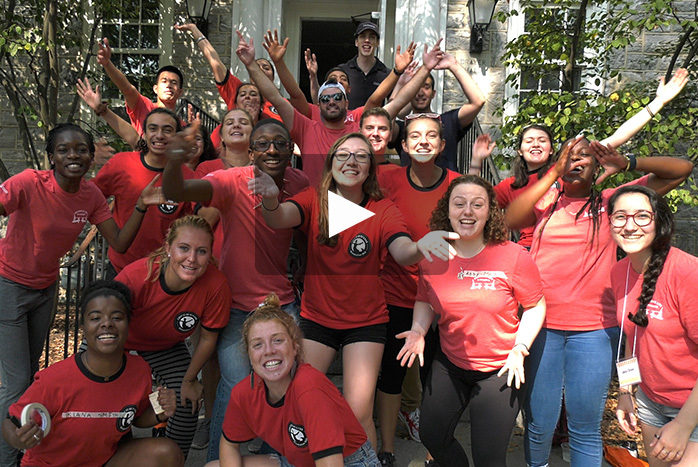 The Dickinson community officially began to welcome the class of 2022 to campus during Move-In Day, Sunday, Aug. 26. The first of two move-in events for the class, the day featured information and warm welcomes for the newest Dickinsonians as well as plenty of cheering current students who helped families unpack cars. The campuswide celebration also kicked off Orientation week, with Pre-Orientation Adventures running through Aug. 28 and New Student Orientation running from Aug. 29 through Sept. 1.